Charlie made his Off-Broadway debut at Circle Repertory, musical directing and writing incidental music for the original production of A.R. Gurney's Who Killed Richard Cory? Little Kit -- a family opera - was developed through the Eugene O'Neil Foundation and subsequently produced by The Vineyard Theatre and Tribeca Performing Arts Center (1997 & 1999). This was followed by The Butterfly (2008), and the critically acclaimed, Jose Limon: The Making Of An Artist (2009). Other original scores include a musical adaptation of Ivan Turgenev's A Month in the Country, and many instrumental chamber works, including those for unusual ensembles. 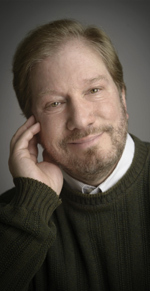 His theatre music has been produced at Vineyard Theatre, Circle Repertory, Westbeth Theatre, Symphony Space, the Lincoln Center Summer Festival and the Emelin Theatre in Westchester. As a pianist, he performed on WNYC and lectured on early American popular piano music, playing works by L.M. Gottschalk, S. Joplin and Jelly Roll Morton. Mr. Greenberg is probably best known in New Jersey for his 25 year association with the Hunterdon Hills Playhouse in Perryville, NJ, where he has arranged, musical directed and programmed dozens of original music reviews of popular American music including turn-of-the-century, jazz, rock and funk. He also helped develop the Hunterdon Hills Playhouse Orchestra, which has recorded several CDs of his musical arrangements. A piano student of the late, great Jan Gorbaty, Mr. Greenberg holds an MA in music composition from the Aaron Copland School of Music formerly the music department of Queens College, where he studied privately with - the recently departed and brilliant composer and scholar - George Perle. He is a member of ASCAP, where he has participated in the ASCAP Theatre Workshop. On related subjects, Charlie has also taken to blogging.